A new $2 billion ultra-entertainment precinct will come up on the site of the Brisbane Transit Centre after it is demolished in 2020. The demolition will make way for Cross River Rail’s new underground Roma Street Station and Brisbane Live. Preliminary works on the site will begin in 2019 and the demolition will take place in late 2020. The Brisbane Live arena is being developed by AEG Worldwide and consultancy firm Deloitte has been appointed to the urban renewal project with sport and architecture firm Populous engaged to design the arena. The architecture firm has previously designed the Suncorp Stadium in Brisbane, T-Mobile Arena in Las Vegas and London’s O2 Arena. 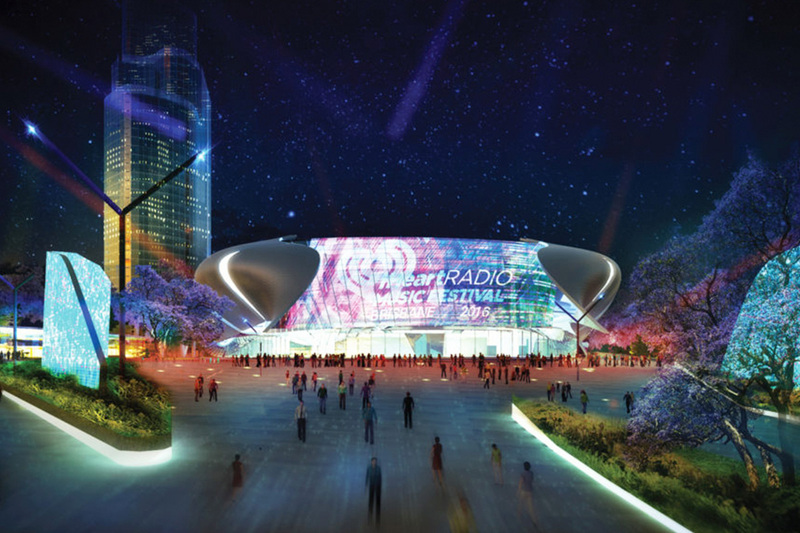 Brisbane Live is being planned as an 18,000-seat world-class arena in the Roma Street precinct, which is expected to become Queensland’s premier entertainment venue hosting major live concerts and sporting events. Similar to Madison Square Garden in New York City, or Melbourne’s Federation Square, the new precinct complex would make use of valuable air space above existing rail lines as well as the connectivity that Roma Street has to every rail line in the SEQ rail network with no land swap or sale required. The masterplan put forward by AEG-Ogden features a sliding front wall that opens to reveal live acts on stage, the $450 million arena will also include a 4000-capacity rock club and be surrounded by multiplex cinemas, restaurants and bars, and a giant screen and amphitheatre catering for around 15,000 people.